We realized a few weeks ago that we were going to be on vacation during our Face Off week, so we thought we’d pay homage to the South as well as feed our mothers with a Grits Face Off. 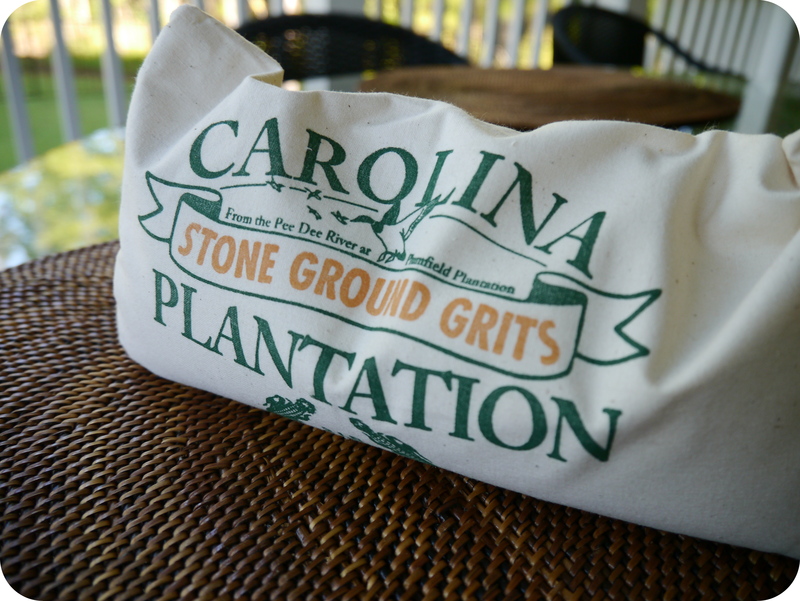 I’ve never made grits before, but what’s better than my first time being in the “grits famous state” of South Carolina? 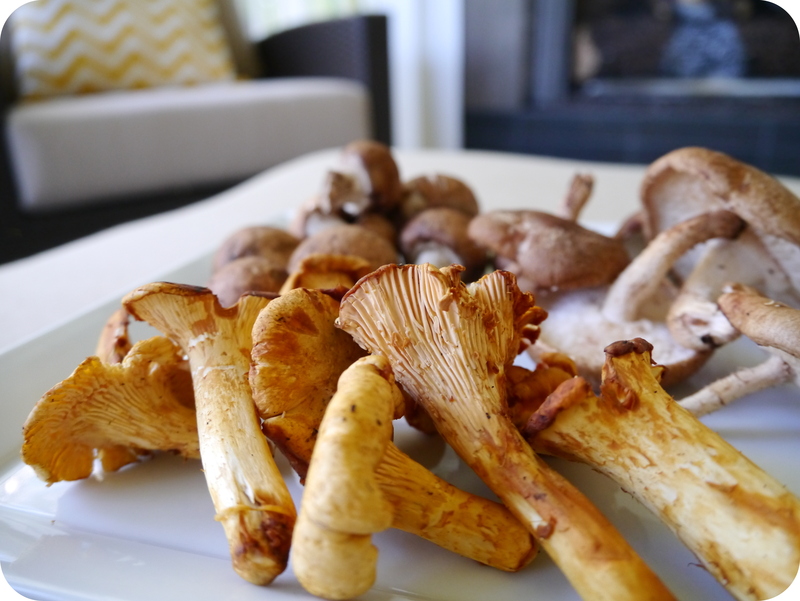 My meat of choice…mushrooms. My “cheese” of choice…cream cheese and a little sour cream. Throw in some butter and you’re set for a rich Vegan southern dinner. This dish comes together in about 1.5 hours, well worth the time to allow the flavors to meld together. Serve it over greens with some greens on top…enjoy y’all! In a large sauce pan melt 2 tablespoons of butter over medium heat. Add thyme sprig and stir. Add mushrooms to pan and cook until golden. Add grits, stock and water to mushroom mixture. Bring to a boil, reduce to a simmer, cover and cook for 60 minutes, stirring occasionally. If your grits get too thick add a bit of water. To finish turn off heat and add 1 tablespoon of butter, sour cream and cream cheese. In a separate pan melt remaining 1 tablespoon of butter over medium heat, add spinach, saute for 3 minutes. 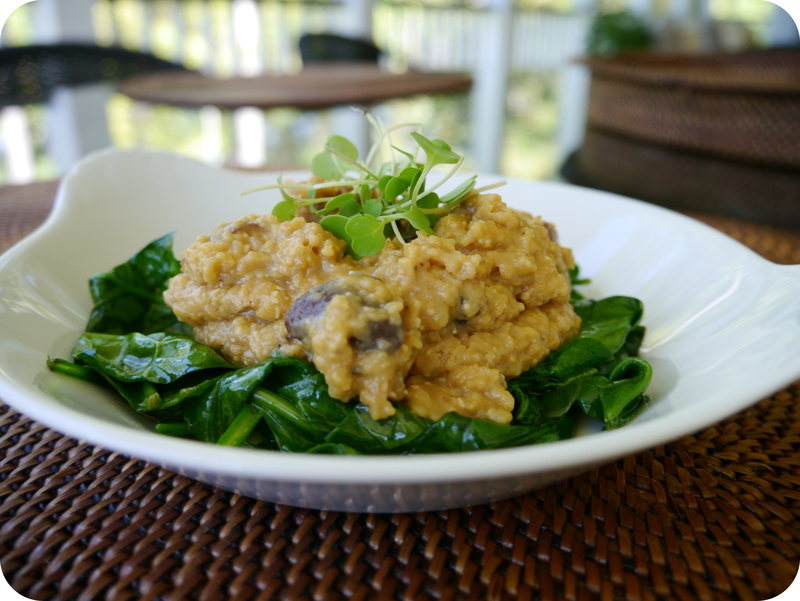 Serve grits on a bed of spinach and topped with micro greens. I’ve never given grits much thought, but this looks absolutely delicious. What does “divided” butter mean? Thanks for the kind response. Divided butter means that you need a total of 4 Tablespoons of butter for the dish. 2 Tablespoons are used in the beginning of the dish and 2 Tablespoons are used at the end of the dish.